Runny nose is a very common and annoying problem which most of us experience during cold and dry season. Usually, the glands present in nasal passages and sinus produce mucus to keep them moist enough. But when the bacteria or allergens enter our body, they produce more mucus to flush them out. This is the main reason of experiencing a runny nose. Apart from that, common cold, sinus infection and changing weather can also trigger a runny nose. It has to be treated on time, if not it can lead to headache, earache, coughing, throat infection and other problems. The over-the-counter medications for runny nose are usually sedating and we cannot afford to feel sleepy amidst our busiest schedules. Fortunately, we can get immediate relief by using natural remedies like salt water rinse, steaming and other methods mentioned below. Are you wondering how to stop a runny nose using natural ways? In this article, you can find a number of different remedies for which you can try at home with simple ingredients and simple processes. Salt water alleviates the irritation that accompanies a runny nose. It helps to clear the nasal passages thins the mucus. It helps both sore throat and runny nose at the same time. Mix 1/2 teaspoon of table salt with 2 cups of warm water (distilled). Drip a few drops of salt solution into each nostril with your head tilted back. Inhale very gently to draw the solution into your nasal passages. Now blow your nose to remove the excess mucus and the salt solution. Continue doing it for a few times in every single sitting. Repeat the process 2 times in a day until you get complete relief from runny nose. For extra relief, you can add a pinch of baking soda to balance the pH levels. Steam is the best runny nose remedy that can be used to treat different nasal problems. It helps to clear out excess mucus which causes runny nose and sneezing, along with irritation. Add few drops of eucalyptus oil or menthol oil into a bowl of hot water. Drape a towel over your head and inhale the steam for about 10 minutes. Blow your nose to clear the mucus. For more effectiveness, add few drops mint leaves, ginger slices or few drops of any essential oil like camphor, pine oil, thymol or others. Note: Regular hot water showering or bathing can also help. Turmeric acts as antidote for many health related conditions. It contains strong antioxidant, anti-inflammatory, antibacterial and antiviral properties which help to treat runny nose. How to stop a runny nose using turmeric? Here is your answer! Mix ½ teaspoon of dry, ground turmeric powder with a cup of linseed oil. Let it soak for few minutes. Heat the mixture. Once it starts smoking, remove from the heat. Inhale the smoke slowly through one nostril and slowly exhale. Stir a teaspoon of turmeric powder in a glass of warm milk. This process will give relief from lots of cold symptoms. Optional: Add a pinch of black pepper for taste. To 1 or 2 cups of water, add 1/2 – 1 teaspoon of turmeric, 1/2 teaspoon of cinnamon, 1 teaspoon grated ginger and a pinch of clove powder. Bring this mixture to boil and simmer for 8 – 10 minutes. Consume this drink 1 – 2 times daily. Mustard oil contains antibiotic, antiviral, antibacterial, antimicrobial and antihistamine properties. It also contains glucosinolate – fights off the microbes and ally isothiocyanate – fights off the fungal infection. Apart from that, various isothiocyanates present in mustard oil can slow down any bacterial damage. Hence, it can not only drain out the mucus but also treats the infection as well. Heat a small amount of mustard oil until lukewarm. Pour 1 or 2 drops of the oil in each nostril using a dropper. Tilt your head for few seconds such that the oil can get into sinus cavities and nasal passages. Mustard oil will moisten and lubricate any dry object like dirt present in your nose or sinuses. Repeat the process for twice or thrice a day. Take 2 – 3 tablespoons of mustard oil and a tablespoon of caraway seeds. Add them to a pot of boiling water. Breathe the steam as the strong aroma of the mustard oil will clear up the respiratory system and thus provides instant relief from the runny nose. Alternatively, include mustard oil into your daily cooking. Ginger contains antioxidants, antiviral, antitoxic and antifungal properties. It helps to loosen the thick mucus and provide immediate relief from a runny nose. Cut into small pieces and sprinkle some salt. Chew the ginger pieces several times a day. Boil in a cup of water. Strain the tea and add a little honey and lemon juice to taste. Drinking ginger tea for 3 – 4 times a day will helps to give relief from cold and runny nose. Boil a teaspoon of ginger powder in 2 cups of hot water. Inhale the steam for few minutes. Alternatively, you can use ginger in the form of lozenges. Garlic contains strong and natural, antibacterial and antiseptic properties. Boil 3 – 4 cloves of chopped garlic in a cup of water. Strain the solution and add small amount of sugar. Drink this soup twice a day. Chew a small piece of garlic 3 – 4 times a day to warm up your body. Doing this repeatedly will cure your runny nose. Garlic supplements can also help. Eucalyptus oil acts as decongestant which gives instant relief. Add seven drops of eucalyptus oil and four drops each of lavender oil and peppermint oil to a bowl of warm water. Cover your head with a towel and bend over the bowl. Eucalyptus oil can also be inhaled throughout the day by adding it to a handkerchief. Holy Basil or Indian Tulsi contains antifungal, antiviral and antibacterial properties which help to heal the runny nose by warming your body from inside. Chew 3 – 4 fresh basil leaves early in the morning on an empty stomach and before going to bed. Or add a little jaggery to 2 – 3 basil leaves for taste and eat it twice a day. Boil for about 10 minutes and add a small amount of sugar. Allow it to cool down and drink it twice a day. Cinnamon is a spicy herb which helps to clear the bacteria that causes runny nose, while honey soothes irritation. Mix 2 tablespoons of honey, a pinch of cinnamon powder and quarter spoon of lemon. Honey has antibacterial and antiviral properties which help to reduce runny nose. Mix a tablespoon of honey and 3 – 4 drops of fresh lemon juice in a glass of warm water. Drink while warm, twice a day. This process will strengthen the immune system. Onion helps to provide relief from a runny nose if it is caused by sinus infection or by bacteria, virus or fungi. Sulfur present in onion contains strong antibacterial properties which loosens up and drains out the phlegm easily. Smelling onion itself can provide relief from sinus infection. However, you can also try the below steaming method for quick relief. Chop 1 – 2 onions in thin slices. Bring 1 -2 cups of water to boil and add onion slices into it. Pour the solution into a cup. Drink the onion tea and inhale the vapors coming out of it. Horseradish contains mucolytic properties which help to drain the mucus. It also contains antimicrobial and antibacterial properties which help to give relief from runny nose. Place 1/2 – 1 teaspoon of grated horseradish root in your mouth. Hold it in the mouth till it becomes flavorless. Now, swallow the horseradish. This helps to clear the mucus from your throat as well. Note: If you trying it for the first time, then start by taking a pinch of grated horseradish. If this dosage doesn’t seem to show any results, you can increase up to 1 teaspoon. Add 4 tablespoons of honey into it and stir well. Let the mixture steep for 5 – 10 minutes. Now, strain it using a cheesecloth or gauze. This is the first extract of horseradish syrup. Take the horseradish residue (left after straining) in pan and add enough water to cover it. Simmer it on flame for a couple of minutes. Remove from the flame, strain it and let it cool down. Once the boiled and strained solution cools down, mix it with first extract of the horseradish syrup. Pour the mixture in an airtight container. Dosage: Consume 3 – 4 teaspoons of horseradish syrup slowly. Repeat the consumption 2 – 3 times a day. Alternatively: You can use this syrup for gargling as well. For this, you should add 3 teaspoons of horseradish tincture in a 1/4 cup of water. Stir well and use this mixture to gargle. This process helps in treating runny nose, cough and cold. Properties of both horseradish and onion help in treating runny nose. So, in this process we will prepare a tea using both the ingredients for faster relief from runny nose. Combine 1/4 cup of onion (chopped) and 1/8 cup of horseradish (grated). Add this mixture to 1 cup of water. Simmer the mixture for 5 minutes and remove from the flame. Strain and slowly sip the tea while it is still hot. If you can withstand the taste, you can even chew the residue leftover after straining. Consume 3 – 4 cups of onion-horseradish tea in a day. If you are searching for tea that only treats runny nose but also tastes good, then you should try the following recipe. All the ingredients used in this process are effective in providing relief from runny nose. To 1 -2 cups of water, add 1/2 teaspoon each of crushed garlic, sliced ginger and cinnamon powder. Strain it and add 1 tablespoon lemon juice and 1 teaspoon of honey into it. Place a tea bag of any flavour into the solution and let it steep for few minutes. Consume the tea slowly while it is still hot. For effective results, you can exclude the straining and eat the garlic and ginger pieces while drinking the tea. Consume 2 – 3 cups of herbal tea in a day. Sage is considered one of the best herbal remedies to treat runny nose effectively. The thujone present in sage oil fights with bacterial infections. The rosmarinic and phenolic acids possess anti-inflammatory and antioxidant properties. Just by consuming a mixture of 1 teaspoon dried sage herb and honey can provide relief from runny nose. Alternatively, you can also make this mixture and store it beforehand, especially if you have kids who are prone to cold and cough. Here is the process how to make it. Place few dried sage leaves in a jar and add honey till it covers the leaves. Let it sit aside in cool dark place for 4 weeks. You can give this solution to kids whenever required. To a pot, add 1 teaspoon of dried sage leaves and 1 cup of hot water. Cover the lid and let it steep for 5 – 8 minutes. Strain and add some honey for taste. Consume this tea once in a day. 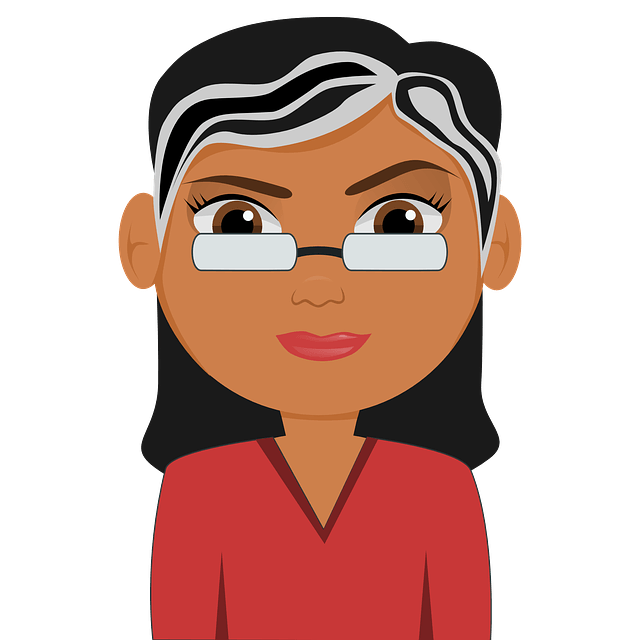 Do you have runny nose due to allergic reaction like hay fever (allergic rhinitis)? Then the herb stinging nettle is very useful in treat it. It contains natural anti-histamine property which helps to reduce the levels of histamine in our body that are produces in response to allergens. To a cup of water add 1/2 cup fresh nettle leaves. Bring this mixture to boil and let it simmer for 5 minutes. Add honey for taste and sip it slowly. Consume stinging nettle tea 2 – 3 times in a day. Alternatively, if you don’t have fresh nettle leaves, then you can replace it with 1/2 teaspoon of dried nettle leaves. Astragalus root contains antiviral, antibacterial and anti-inflammatory properties which help in treating the infection causing runny nose. The antioxidant properties present in it boost your immune system. Add 1/4 cup of astragalus root or 1 -2 tablespoons of dried astragalus into 2 cups of water. Let it simmer for 5 – 8 minutes. Strain it and consume it. You can add some salt and pepper into it and consume it as a soup. Acupressure can be used to cure a runny nose. Apply pressure gently on the corner of your nose as this pressure point helps to alleviate sinus congestion and headaches. Then apply mild and gentle pressure on the area just above your eyes. Cayenne Pepper contains antihistamine which clears up the nasal congestion and runny nose. Although it will increase the nasal discharge, it will flush out the blockage and toxins that cause your runny nose. So make sure you include it in your diet and eat it regularly. Rip a tissue into equal halves. Roll the tissue into a tiny ball (size of nostril). Place this tissue gently inside your each nostril. Process has to be repeated regularly to get relief from a runny nose. 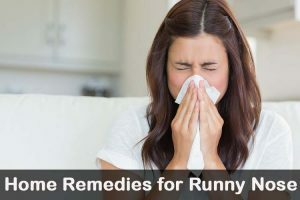 If you are suffering from runny nose frequently especially in cold months or due to allergens then try this remedy for relief. In a bowl, add 1/2 – 1 cup of coconut juice or milk, 1/2 teaspoon of turmeric, 1/2 litre of colostrum milk, a pinch of crushed cinnamon powder and sugar or jaggery as per taste. Stir well and place the bowl with its lid in a pressure cooker. Place the pressure cooker on the flame without whistle. On high flame cook for 1/2 hour and remove from the flame. Let the pressure cool down. Open it and remove the bowl from it. Cut the cooked mixture into pieces and serve. Eat 6-8 pieces once in the morning and again in the evening. You can store the remaining in refrigerator. Oregano oil contains antifungal, antibacterial, anti-parasitic and anti-inflammatory properties which are helpful in treating runny nose caused by sinusitis. The two important ingredients carvacrol and thymol present in oregano oil strengthen the immune system. Mix 2 – 3 drops of oregano oil in any juice and consume it. Repeat daily until you get relief from the symptoms. Foods that you eat and drink can provide relief or alleviate sneezing and running nose. Avoid consuming wheat foods, dairy products and saturated fats as they worsen the inflammation and produce more and thick mucus. Avoid foods that contain histamines that include cheese, yogurt, dried fruits, spinach, tomatoes, processed meat and bread that contain more amounts of yeast. Include foods that are rich in vitamin C and E like oranges and almonds. Also include foods that are in rich in antioxidants which fight against free radicals that cause sneezing, runny nose and other discomforts. Regularly massage your earlobes for at least 10 seconds. You can use either neti pot, bulb syringe or other products which are specially designed for nasal irrigation after pouring saline solution in each nostril. Blow your nose gently, as often as possible, by using a soft tissue which helps to avoid skin irritation and redness. Eat a lot of spicy food like cayenne peppers, ginger, hot peppers, etc. which help to flush out the mucus, blockage and toxins from your body and increase the circulation. Inhaling powdered thyme can give relief from a runny nose. Elevate your head for at least 10 inches while sleeping as this helps the nasal discharge drain out of your body. The use of a humidifier will add moisture to your air and make your mucus thinner. Pour few drops of almond oil into your nostrils to treat your running nose and cold naturally. Increase Fluid Intake: Drinking plenty of water and clear broth of chicken help to thin down the mucus and allow it to drain from your sinuses and nose. Sipping hot tea or milk will provide warming and smoothing effect. Relax and Rest: When you are feeling well, it is better to take some rest so that most of the strength goes into healing. Resting also helps to get a break from blowing your nose. Warm Compress: If a warm compress is placed on nose or forehead it provides relief from the sinus congestion and pressure. If you don’t have a compress, you can soak a wash cloth in warm water, wring out the excess and apply it over your face. Repeat the process several times a day. It provides relief from the nasal congestion and stops your runny nose. Stay Away from Nasal Irritants: Allergies to pollen, pets, latex, certain foods and dust mites can also cause runny nose. So if you in constant contact with anything you are allergic to, then you can experience a runny nose frequently. If your symptoms last for more than 10 days, you have high fever, or your nasal discharge is green and that is accompanied by sinus pain or fever, then please consult the doctor as it may result in any underlying health issue. We hope this article on how to stop a runny nose has helped you. If you have any queries or suggestions, please share in the comments section below. My three years old baby often breathe through his mouth especially while sleeping due to blocked nostrils. What can be solutions to this? Dilute eucalyptus oil in a bowl. Using a cotton ball apply the solution on the nose and on forehead. Your baby should get relaxed with this. You can add few drops of eucalyptus to humidifier. Consult a pediatrician and find out why his nostrils get blocked while sleeping. No, there remedies are not for babies or children below age of 5 years. Ginger, Turmeric, Basil, Honey and sage are few effective remedies in the above mentioned article for kids. Try any one of them regularly for relief. Apart from that, change the bed sheets at least twice in a week and let her drink soups. Increase vitamin C intake in her daily food routine to boost her immune system and fight off the allergy causing the runny nose. Is there any that will work within a days time? Steam, ginger, honey, and basil should provide results within few days. Apart from that eat immune boosting foods like garlic, broccoli, ginger, yogurt, almonds and citrus fruits for more effective results. as from a Tap. No pain from Sinews.